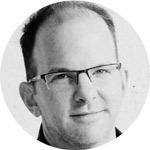 Today we will explore together: 1) Part 2 of some interesting 2015 SEO predictions, 2) how to build an email list of subscribers that can be paid customers, 3) a great report on cart abandonment trends to help you achieve better results with your e-commerce store, 4) some valuable advice from conversion rate optimization experts who made a lot of mistakes, and 5) scientific persuasion principles you should start using to boost your e-commerce efforts. Focus on providing better answers for your audience: Know that Google wants to have answers for its audience, not just a lot of information. 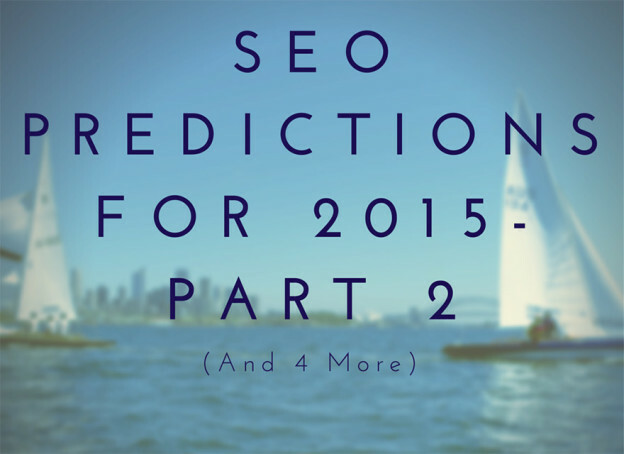 Infographic: SEO Predictions for 2015 (Part 2) – A few days ago we sent you part 1 of the 2015 SEO predictions by industry experts interviewed by Roy Hinkis, the Head of SEO at SimilarWeb. Today we bring you part 2. Combine these tips with the previous ones, and you’ll have an informative how-to guide with great advice on refining your SEO strategy for this year. How To Grow an Email List With Subscribers Who Are Willing To Pay for Your Services – Your email list is the biggest asset you can have if you run an online business. Those emails are your qualified sales leads. It’s much easier to build relationships, generate regular returning traffic, and make repeat sales to your list subscribers as compared to normal visitors. It is a high priority to know how to grow an email list. Shopping Cart Abandonment Email Trends – The low adoption to shopping cart abandonment emails continues to be a great opportunity for retailers to serve their customers better and generate more revenue. 72 percent of marketers say cart abandonment emails are very effective or effective, according to Salesforce. Discover here a few statistics that will serve you well for your e-commerce planning. What 9 Conversion Experts Learned the Hard Way (So You Don’t Have To) – Conversion rate optimization is all about getting better. However, there is a lot of work to do in order to see improvement. Find in this article nine conversion experts sharing their biggest conversion mistakes, and the most valuable things they learned from them. 6 Scientific Principles of Persuasion All Smart Ecommerce Founders Know – We don’t even notice that, but we are surrounded by persuasive messages all day long. The majority of people are so used to them, that they learned how to ignore these messages. However, when people visit your e-commerce store, they’ve already demonstrated some kind of commercial intent. Are your offers and messages taking advantage of that and persuading visitors to become buyers? This entry was posted in Customer Acquisition Strategies and tagged cart abandonment, conversion rate optimization, customers, e-commerce, email list, paid customers, persuasion principles, SEO, SEO predictions, store, subscribers on February 27, 2015 by Davide Di Prossimo.